Delhi University of law has finally sent its application for affiliation and inspection under the Legal Education Rules to the Bar Council of India, providing a breather to the recent graduates of the Institute. Their future as lawyers had been marred with uncertainty with the BCI de-recognizing the law course. 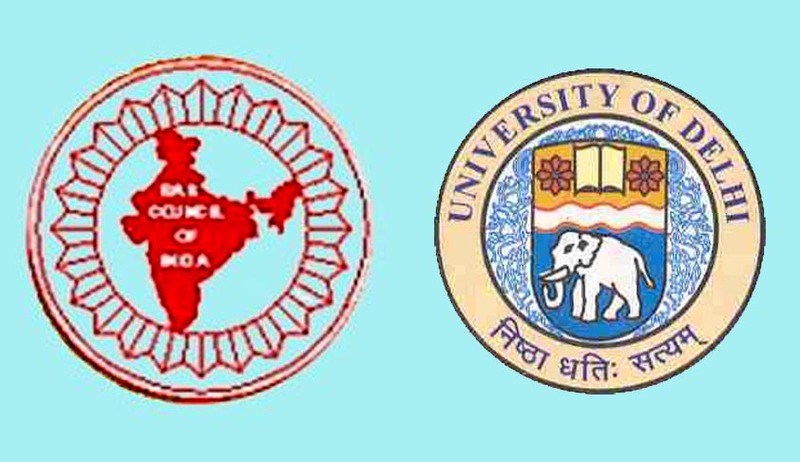 As per the procedure, the three centres — Campus Law Centre, Law Centre-I and Law Centre-II have filed separate applications for inspection and affiliation, with detailed information regarding infrastructure, faculty strength, qualification of faculty members, library facilities, student strength, etc. The Bar Council, after scrutiny of application, will send a five-member team consisting of BCI members, an academic expert, a retired High Court judge and a representative of the Bar Council of Delhi to inspect the centres. Depending on the findings of the committee, the BCI may grant affiliation or give a conditional affiliation, asking the university to comply with all rules and make up any deficiencies. Bar Council of India (BCI) had decided to derecognize DU’s law course taught at its three centres, namely Campus Law Centre, Law Centre­1 and Law Centre­2. This meant that students admitted in these centres from 2011-12 onwards won’t be eligible to be enrolled as advocates and can’t practice. In a letter sent to state bar councils accessed by Live Law on September 22, the Bar Council of India (BCI), had declared not to enroll them as advocates as the Law Faculty failed to obtain “extension of approval of affiliation” from BCI despite repeated reminders. Read the LiveLaw story here. Delhi University Law Faculty Dean Professor Ashwani Kumar Bansal had then written a letter to the Bar Council of India, expressing shock about the drastic step that has been taken by Bar Council of India. Read the letter here. The Telangana State Bar Association has also received a directive from the Bar Council of India (BCI) to disallow the 2014-15 batch law graduates of the Law University College, Kakatiya and the Osmania University Law College to enroll as advocates. Read the LiveLaw story here.